Israel is continuing to build its settlements and the world is showing displeasure. Everyone know that Israel will go on and grab land of poor farmers, killing scores of women and children on their way. Poor Palestinians have no way so they decide to go to UN and the EU. The Israeli dictators warn the Palestinian leaders that such a move will be dangerous and will result in them withdrawing from the talks. Marwan Bishara, Al Jazeera's senior political analyst, said: "Everyone knows this will not go to the Security Council without the green light from the US. 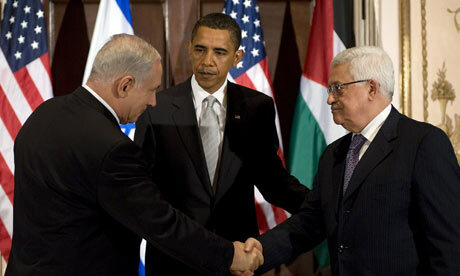 "If the US gives the green light, it means the relations between the US and Israel are in trouble. "The US and Israel have avoided the Security Council for more than 16 years. To go back to it today, would be a major shift, a game changer in the diplomatic process. "All Palestinians would be quite excited. Everyone, on all various levels, feels betrayed by a process that delivered not much after 16 years and seven agreements with the Israelis while quadrupling the illegal Israeli settlements." And one wonders why Muslims get angry over Israeli Injustice. Fatwa: Donating for Hajj or Charity?